The OTTA is committed to reducing crime in Old Town, but we can’t do this without your help. At our crime meeting in January we discussed how wemailto:info@oldtowntriangle.com, as neighbors, can best address crime in our neighborhood. We need your participation to act on many of the suggestions. Neighbors need to sign up to volunteer, as committee members and block captains. A Co-Chair for the newly established Crime Committee is also needed. 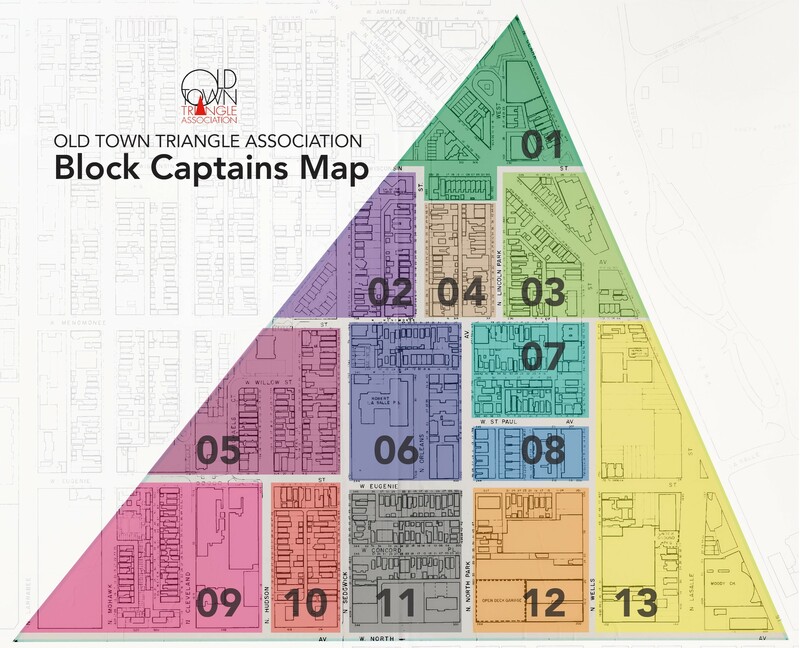 Currently, we do not have block captains for zones 3, 10, 12, and 13. But all zones need more volunteers. We can use as many people as we can get in each zone – making less work for everyone! Tackling crime in the neighborhood is not something the OTTA can do without your help. To fight crime in Old Town we will need all of our neighbors, without your support there is nothing we can do. Now is not the time to be shy – join your neighbors and stand up to crime. Promote Court Advocacy. If neighbors appear in court when a criminal goes in front of a judge, it makes a difference. Go door to door in your zone with other block captains to get neighbors contact info, email, and social media ‘if willing’ to communicate important information. Ask neighbors to ‘like’ the OTTA on Facebook, follow us and redistribute important information on social media and other methods to get the message out for “grass roots” change. Educate neighbors and friends on why we are having an increase in crime and what they can do to help. Pass out information from the crime workshop about what to do for protection and crime prevention. Inform neighbors about getting a camera. Report any new ideas or improvements for crime prevention. Sign up new neighbors for OTTA membership to keep them informed and to make the organization more robust and able to effect change. Keep an eye out for issues in your zone: monitor street lights, tree issues, gang graffiti, crime, etc.